The Avalanche. Focus on paying the debt with the highest interest rate first, to minimize the total interest you’ll pay. The Snowball. Focus on paying the debt with the smallest balance first. While this may seem counterintuitive, it’s recommended for those who have difficulty sticking to a repayment plan. 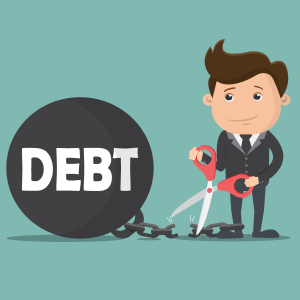 The smallest balance gets paid off sooner and then its debt repayments can be devoted to the next debt. This gives you a powerful psychological boost and sense of achievement. It’s worth calling your lenders to see if there’s a way to lower your interest rate. They will often do this if you’ve been a longtime customer with a history of timely payments. In some cases, you can even get them to forgive part of your debt. Also consider using zero-percent balance transfer options with different credit card providers. While these may come with fees, 12 months of no interest can be worth it. This entry was posted in Blog on July 11, 2018 by c04432601.